What makes this healthy, dairy-free delight worthy of the title mango milkshake? The perfect, touch of creamy coconut milk, naturally. The dreaminess comes into play when you consider that this papaya mango milkshake is much lighter in fat, far lower in added sugars, and richer in nutrition than your average creamy beverage. 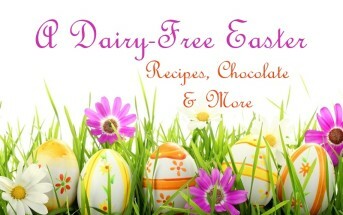 AND it is a true sweet indulgence that is so tasty and fits nearly any type of diet. This papaya mango milkshake was inspired by a beautiful summer gift I received from Melissa’s Produce. The fruitful bounty (yes, they ship farm fresh and organic produce across the U.S.!!) included three tree-ripened and organic mangoes and one beautiful, tender papaya, an ingredient that I had yet to use in a recipe. I admit that papaya on its own, doesn’t really dazzle me. But it marries into an amazing chilled treat when blended with mango, vanilla, and coconut cream. 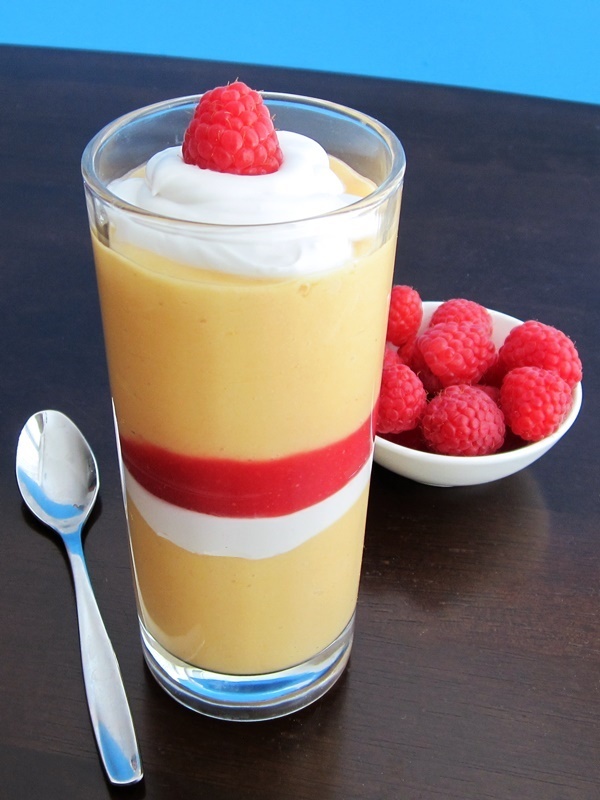 I opted to blend half of the quick coconut whip into the mango milkshake, and use the rest for layering with the fresh raspberry puree. Since it is a really thick shake, the layers make for an amazing spoonable healthy dessert or snack. To keep it low in added sugars and achieve a nice, balanced flavor, I use NuNaturals Vanilla Stevia (my favorite!) 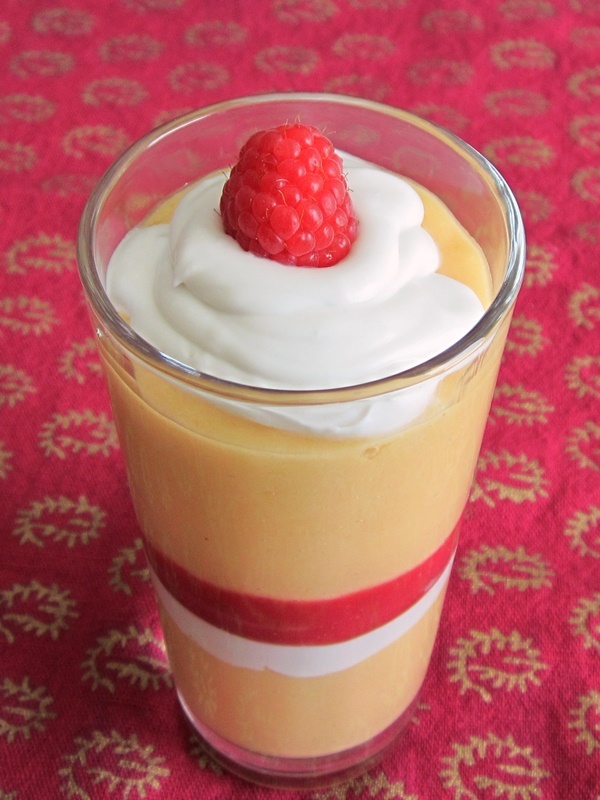 for extra pops of sweetness in each layer of this mango milkshake. Notice that I use ripe fruit, which has its own natural sugars, and a pop of honey (or agave) to mellow things out. These allow the stevia to heighten the flavor without overwhelming it as the only sweetener. 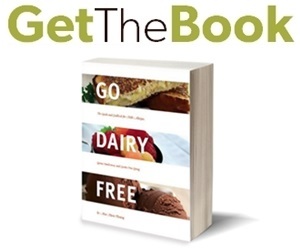 By ingredients, this recipe is dairy-free / non-dairy, egg-free, gluten-free, nut-free, peanut-free, soy-free, optionally vegan, vegetarian, raw, paleo (if you consider stevia suitable for paleo / primal) and generally top food allergy-friendly. I do like to blend in a touch of pure raw L-glutamine powder – likewise, you can add your powdered supplement of choice (from maca to dairy-free protein powder!) just make sure it fits with your dietary needs and the flavor profile of this papaya mango milkshake. The L-glutamine that I use is a pretty seamless powder. 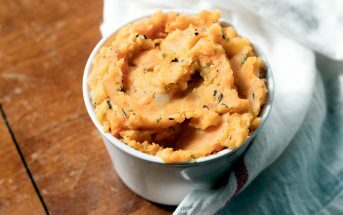 I’m sharing this recipe on Shirley’s awesome Gluten-Free Wednesdays at Gluten Free Easily, Allergy-Free Wednesdays at Adrienne’s great blog, Whole New Mom, and the Weekend Social at Bake at Midnite. Puree raspberries, honey and 2 drops stevia (or additional honey to taste) until pureed. Pour through a fine mesh sieve to remove the seeds. Discard seeds. In a small bowl, whip the coconut cream with the vanilla, 10 drops stevia (or your favorite sweetener, to taste), and supplement, if using, until smooth. Place the mango, papaya, water, and half of the coconut cream mixture in your blender, and puree until smooth. 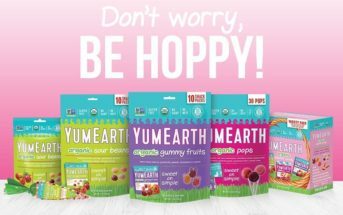 Taste test and sweeten to taste with stevia (I add 4 to 6 drops), or your favorite sweetener. Divide half of the mango mixture between 2 glasses. Top with half of the coconut cream mixture. Divide all of the raspberry puree between the glasses. 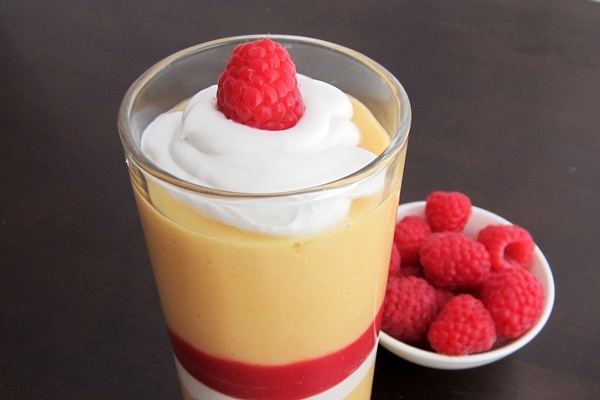 Repeat the mango and coconut cream layers and garnish with extra raspberries. *Scoop the thick cream from the top of a can of full-fat coconut milk (I used So Delicious - it is practically coconut cream on its own!I). If it is too warm, chill the can to help the cream thicken and separate. **Mangoes freeze beautifully. Cut the flesh away from the skin and pit, and dice. Freeze in a single layer (not touching) on a sheet or silicone baking mat. Once frozen, store in an airtight plastic bag in the freezer. What a refreshing, tropical milkshake! Thanks for coming and linking up at The Weekend Social. All posts get pinned in our pinterest board! Please be sure to come back next week starting Thursdays at 9PM EST on culinaryflavors.gr ! I hope to see you there! Thanks Katerina – will do! Seriously, too much ripe goodness – we need more summer! !